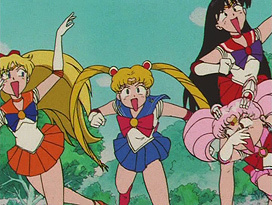 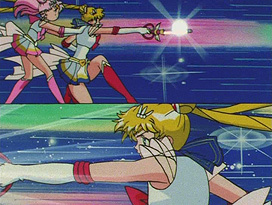 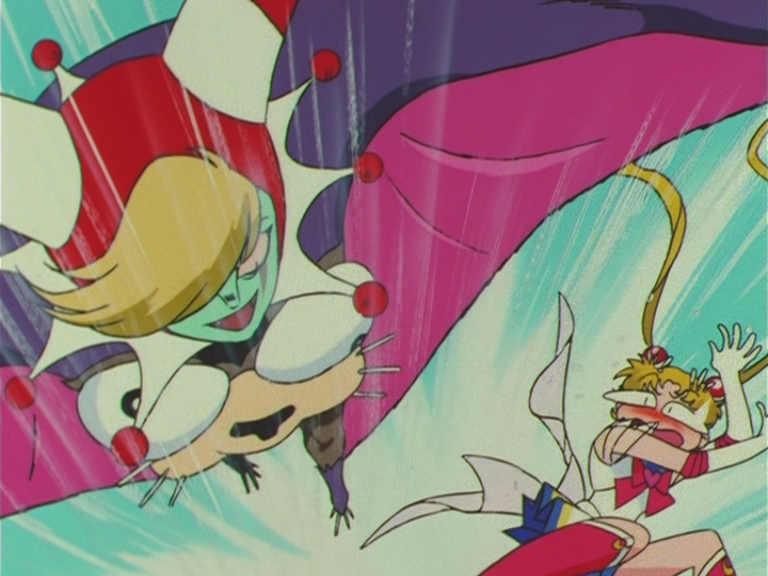 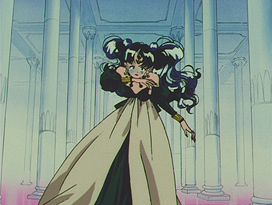 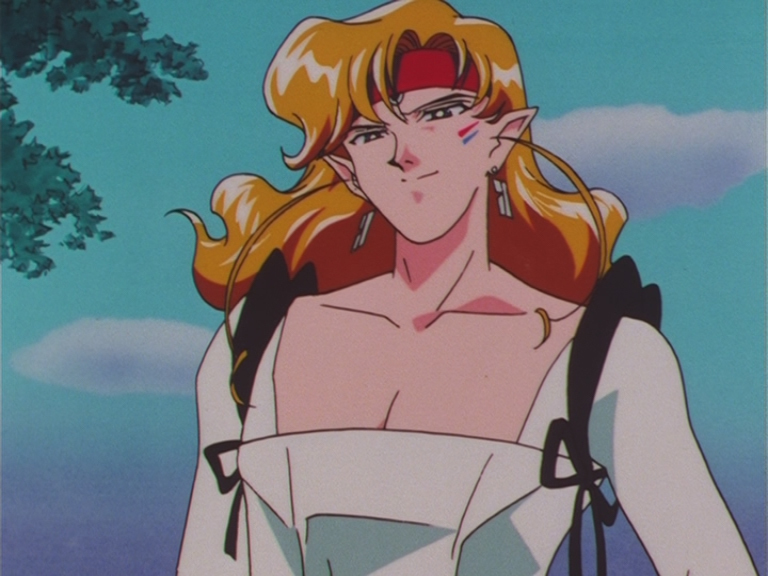 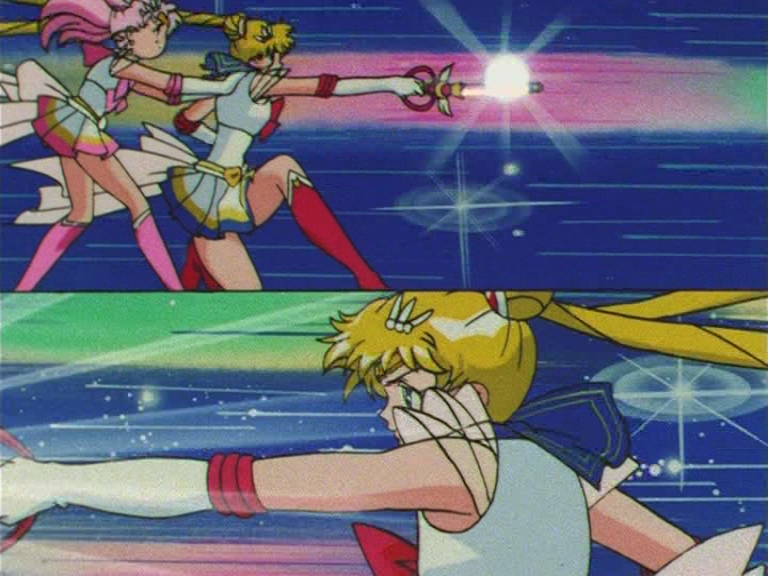 Animation errors in Sailor Moon SuperS, the fourth season of the anime. 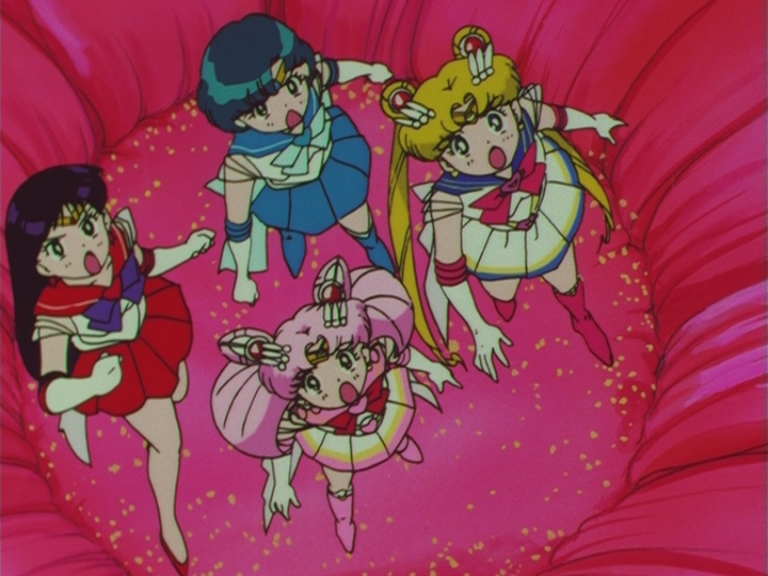 During the first version of "Moon Gorgeous Meditation", Sailor Chibi Moon can clearly be seen in the top panel, but for some reason she doesn't exist in the second. 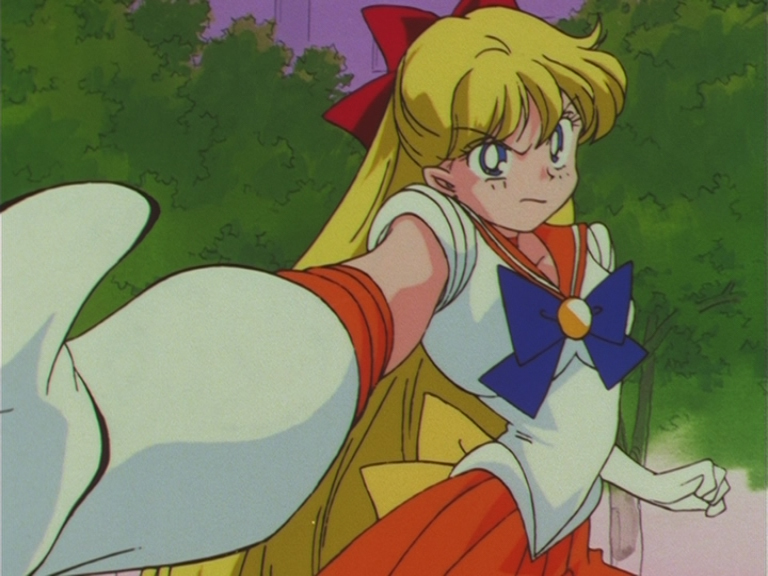 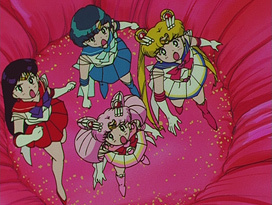 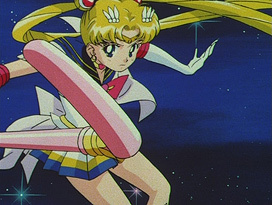 Super Sailor Moon's left hand bends in a rather awkward, painful way during "Moon Gorgeous Meditation". Super Sailor Moon's right earring is colored silver instead of gold during the latter part of "Moon Gorgeous Meditation". The wings are missing on the Kaleido Moon Scope. During a frame of "Venus Crystal Power Make Up", a part of Sailor Venus' tiara is gone. 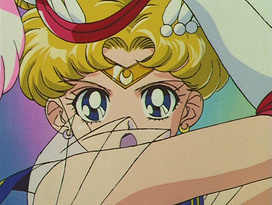 Sailor Moon's heart-shaped brooch hasn't been drawn in, and her odango gems cover her entire odangos. 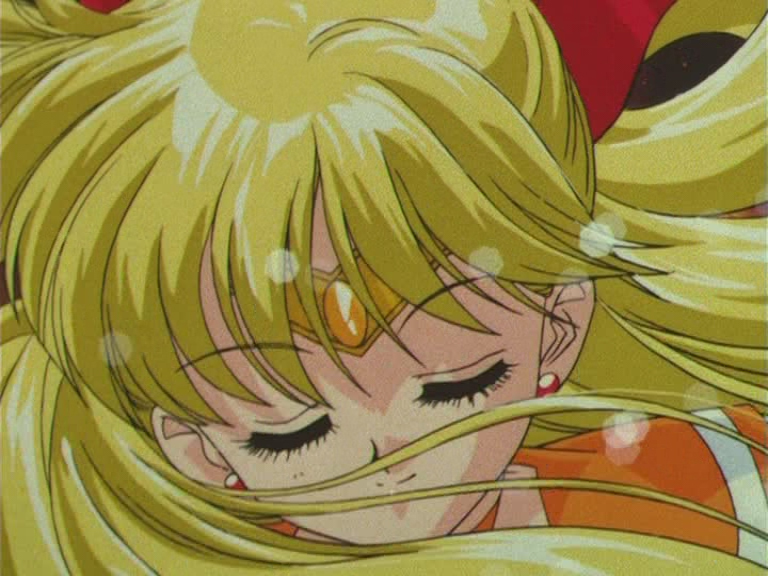 Tiger's-eye's necklace briefly disappears after capturing Miharu. 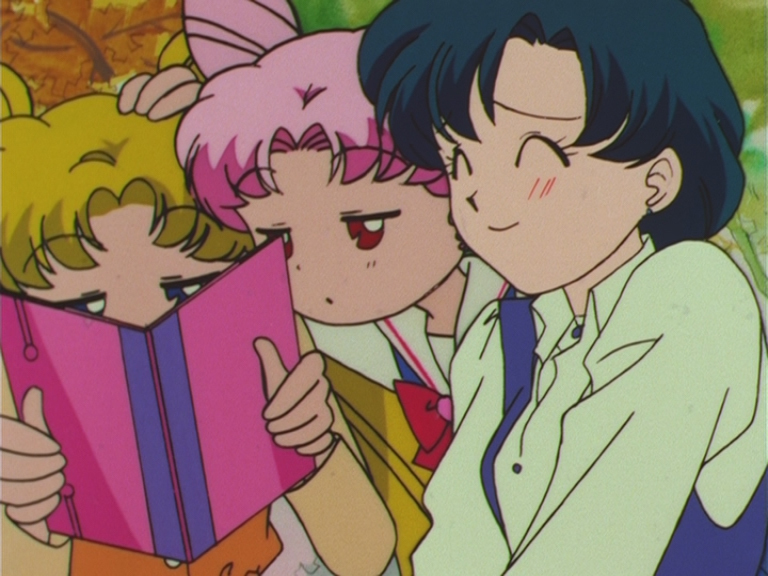 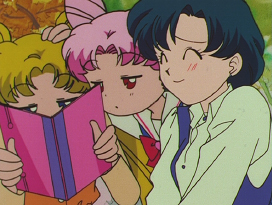 Usagi's thumbs are in front of the book. 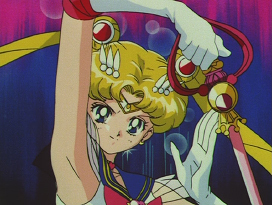 Part of Sailor Mars' back bow is uncolored. 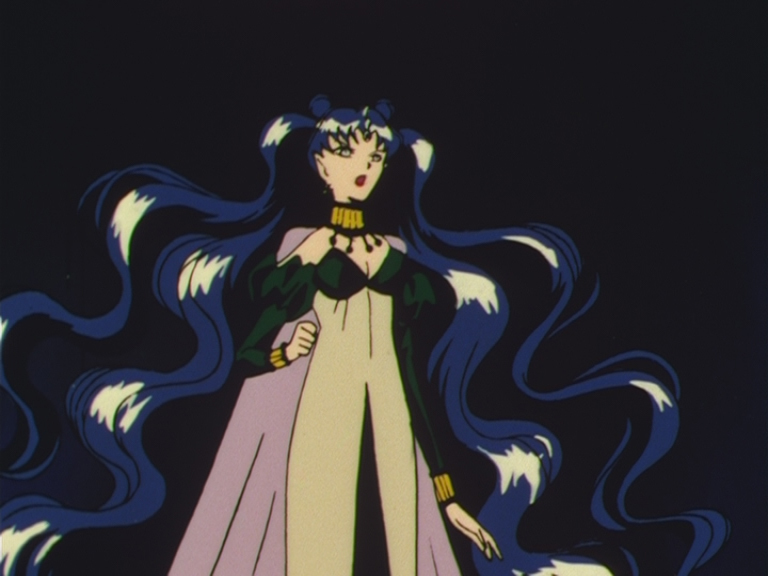 Super Sailor Moon is missing her tiara. The heart on her choker has the wrong shape. 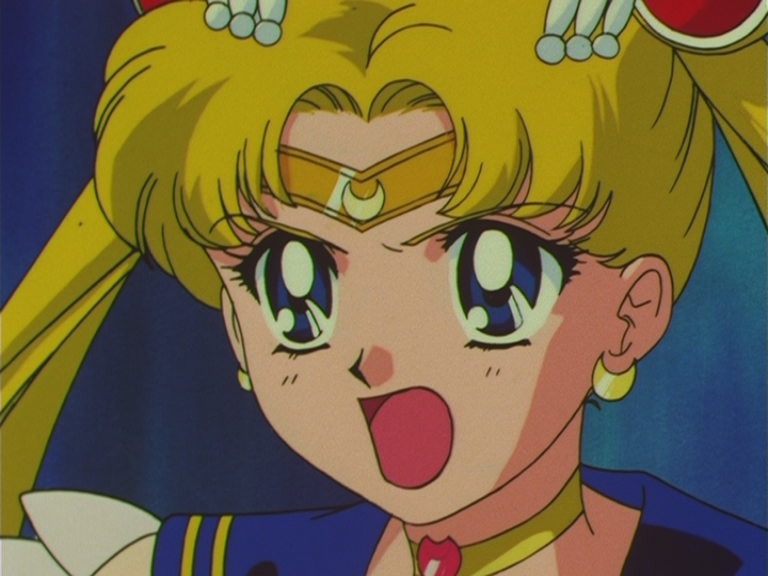 She's missing her crescent moons on her forehead. 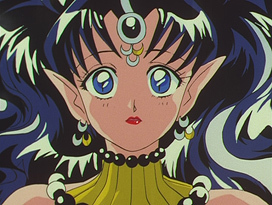 Still missing the crescent moons on her forehead. 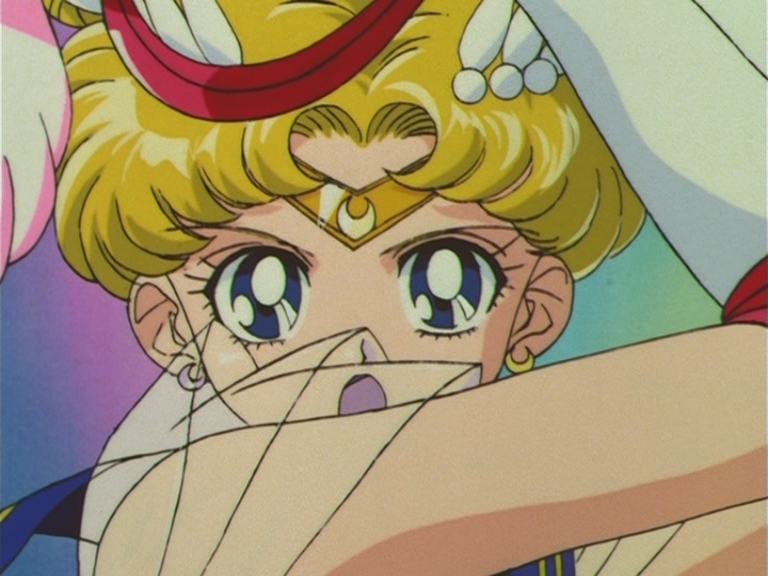 A piece of her collar briefly turns skin colored instead of yellow. 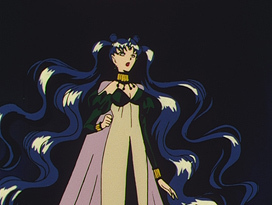 A piece of her hair briefly turns skin colored instead of black. 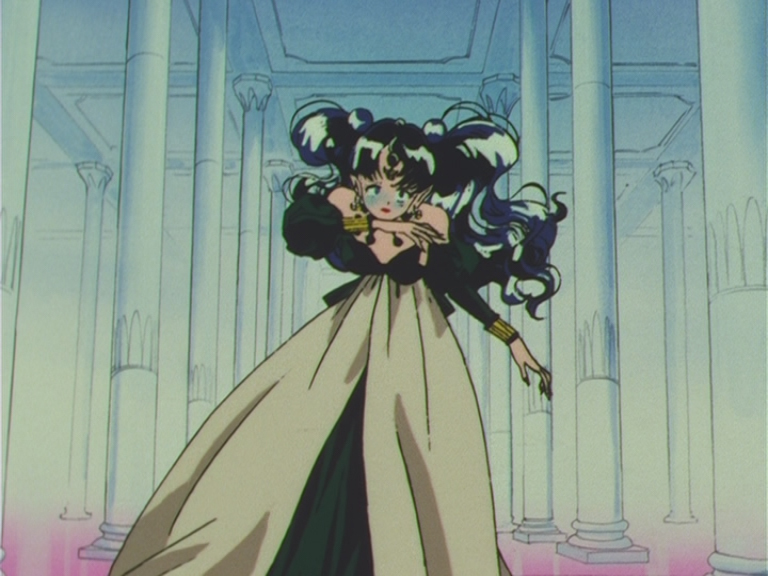 Part of her dress' chest piece turns skin colored.